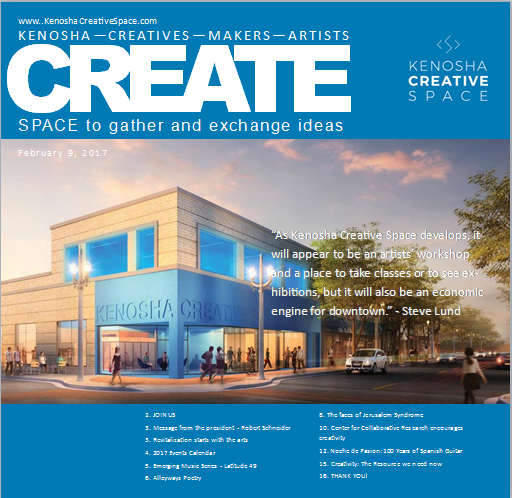 Our friends and Kenosha Creative Space partners at the Kenosha Art Association invite the public to attend their Annual Spring Art Event on Saturday, March 25th at the Kenosha Public Museum. 12:00-1:00 p.m. – KAA members, area artists of all ages are invited to register their art work. 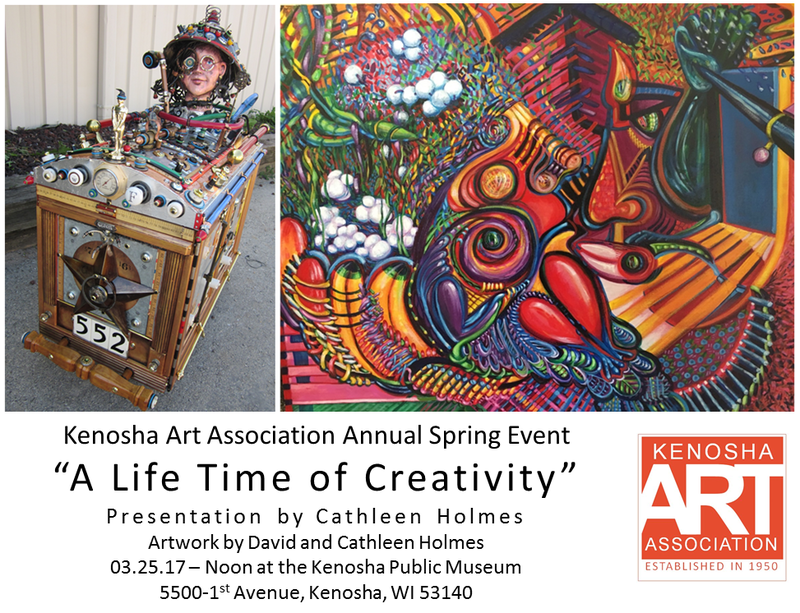 1:45-2:30 p.m. – “A Life Time of Creativity” a presentation by Cathleen Holmes. 2:30-3:15 p.m. – Awards and prizes will be announced. The Kenosha Public Museum is located at 5500 First Avenue in Kenosha Wisconsin. For further information, call 262-654-0065.